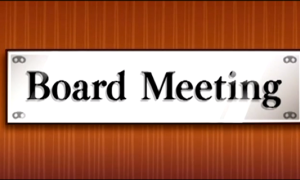 The Board of Directors will be meeting in Closed Session on Tuesday July 22nd, 6:30pm. They will be meeting in Closed Session for a discussion with the Association’s legal counsel. Any matters that may require further consideration or vote by the Board, may be considered further in Open Session at a future meeting of the Board.